If you want to write a romance novel, it makes good sense to understand the romance publishing industry. 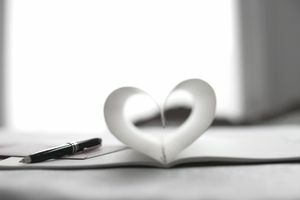 From understanding the business to understanding the hallmarks of the romance genre, here's what you need to know about writing romance. Romance novels are big business. According to the Romance Writers of America®, the romance fiction industry is worth $1.08 billion dollars a year,* which makes it about a third larger than the inspirational book industry, and about the size of the mystery novel genre and science fiction/fantasy genre markets combined. Romance novels regularly top the major bestseller lists (New York Times, Publishers Weekly and USA Today), and have a large, dedicated audience of readers. The core audience of regular romance readers numbers a whopping 29 million and the extended audience of those who occasionally pick up a romance novel is likely much greater. 84% of romance novel readers are women. Romance fiction buyers span all age ranges but the largest segment (41%) is between 30 and 54 years old. According to Nielsen's US 2014 Q1 Romance Landscape report,* ebook romance sales have outpaced the formerly dominant mass-market paperback format, and 39% of all romance novels are purchased in digital format (with the mass market now fairly close second at 32%). Eighteen percent of romances are purchased in the trade paperback format and only 9% are now bought in hardcover. While the report cites that 1% of romances are purchased for listening on audiobook, growth in the audiobook market indicates the number of romance audiobook listeners might be growing. Most romance is purchased from e-commerce sites, large chain bookstores, and mass merchandisers. Book publishing sales trends indicate that there is a robust market for romance fiction e-books. This could be due to the fact that regular romance buyers tend to be voracious readers and e-readers and e-books are convenient for multiple-book consumption. The ending is emotionally satisfying and optimistic: The appeal of the romance novel for many is that the struggles of the lovers are rewarded and the risks they take pay off in a happy ending for them both. Timeframe: Romance novels can be set in the past (historical); the present (contemporary); or in the future. Setting: Whether the Scottish Highlands or a made-up universe or even Topeka, romance novels can be set anywhere. The story can take place during a family reunion or a murder investigation (which would put it in the romantic suspense subgenre). Hero: He can be an "average guy" (as long as he looks better-than-average with his shirt off); a man in uniform (whether military, fireman... or kilt); or not even a "man" at all, as happens in the popular paranormal subgenre ("Hello, Werewolf!"). Tone: The sexual explicitness of romance novels ranges from demurely warm (the inspirational genre is generally not explicit) to hot and steamy... to super-sizzling.